Have you ever thought of buying the best curling iron for long hair to compliment your hair styling? It’s a critical buy I feel, because your long hair is the part of your immaculate beauty, and they need sensitive treatment while you style your locks. So the curling wand/iron has to be the best. Long hair like the fairy princess Rapunzel is indeed your asset. But don’t you think that managing and styling long hair is quite a bit tough? Suppose you want to style your hair in lustrous waves and curls, do you know how to get the best of it? Worry not! Salon-like hairstyle, especially soft wavy curls for your long hair is an easy hair-do if you know how to curl long hair with a wand or an iron. With the right curling wand in the hair styling tool-box, you can do it in the home, all by yourself. But for that you need to learn the standard features of the best curling wand for long hair…it will help you to put your fingers on the best bait as it happened to me. 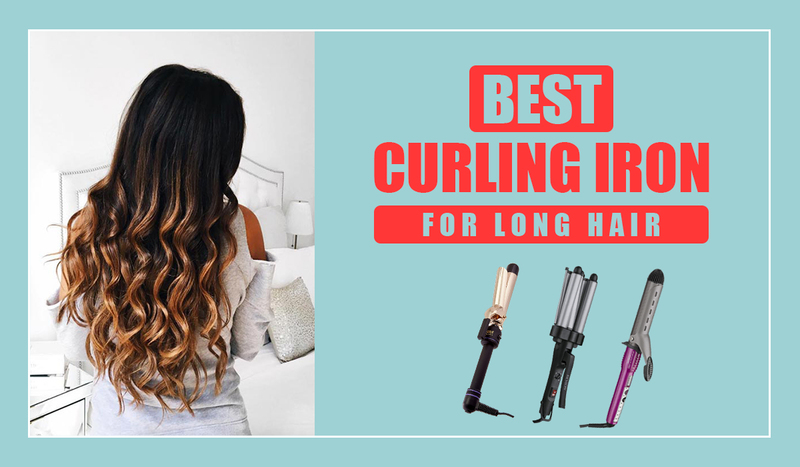 Buying a curling wand or a wave iron for long hair from the best curling wand brand is not the sole solution that you will get to buy the best curling wand for long hair. What I felt, it is a customized choice, and the suitability of the curling wand should be dependent on your hair type, preferred curl, and your level of skill set. Before we start reviewing the best curling iron for long hair or curl wand models, let’s learn first the quintessential features of the best curling iron. According to my personal experience, quality of a hair curler should be checked on a few basic parameters. Barrel shape: you must go for buying the curling wand or iron with a longer barrel. According to users, the barrel width ranging between 1 ½” and 2” is ideal for curling your long hair. Barrel width: Barrel width or shape is a major point that you should take care while buying a curling wand for long hair. For instance, the barrel can be of conical, cylindrical, reverse conical shaped. Barrel-specification: For making spiral curls you need to use a cylindrically shaped barrel. Conical shaped barrel helps you to form loose curls near the scalp. The reverse conical shaped barrel is ideal for tight curl near the scalp and loose curls at the hair end. Material: Always you should go for health and hair friendly materials for curling wand. 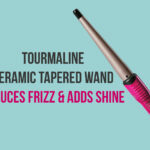 Ceramic, tourmaline, gold, and titanium built curling irons are friendly for your hair. Temperature control: The product that has multiple temperature settings is the best option to buy. Hair type: thick, coarse, and curly. Long hair and medium bouncy curls are a deadly combo for a lustrous hairstyle. The good news is you don't need to rush to your hair salon every time you wish to add this style to your long hair. 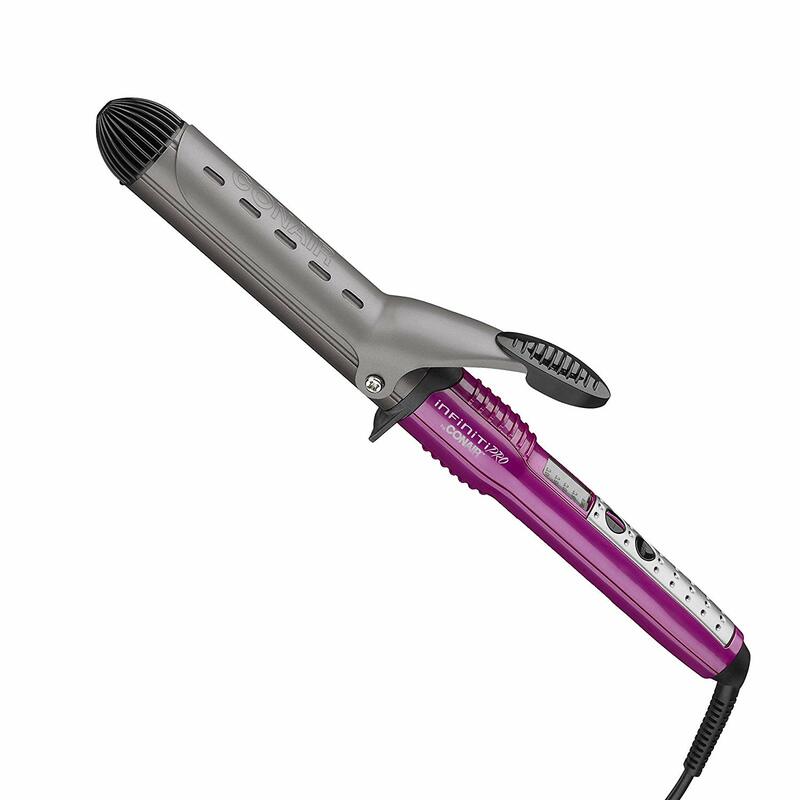 INFINITIPRO BY CONAIR Nano Tourmaline Ceramic Curling Iron is a trusted curly iron for long hair you can buy to add beautiful, shiny, long lasting medium sized curls in your long hair. The hair curler is built with an 11/4th inches barrel, and that is what exactly makes the tool handy. Credit goes to nanotechnology that emits microparticles for creating long lasting waves and curls on your hair. It takes around 30 seconds time to reach 400 degrees F benchmark of heating that creates hair styling a simple cake bite. 5 heat setting modes are available, and that is perfect for your hair styling need. Auto off is an added safety feature of this curling wand. Fabulous for thick and coarse hairs. Minimum heat is 300 degree F which may not suit fine hair. This best curling iron for long hair is a budget buy. It is durable and according to users is a good performer. 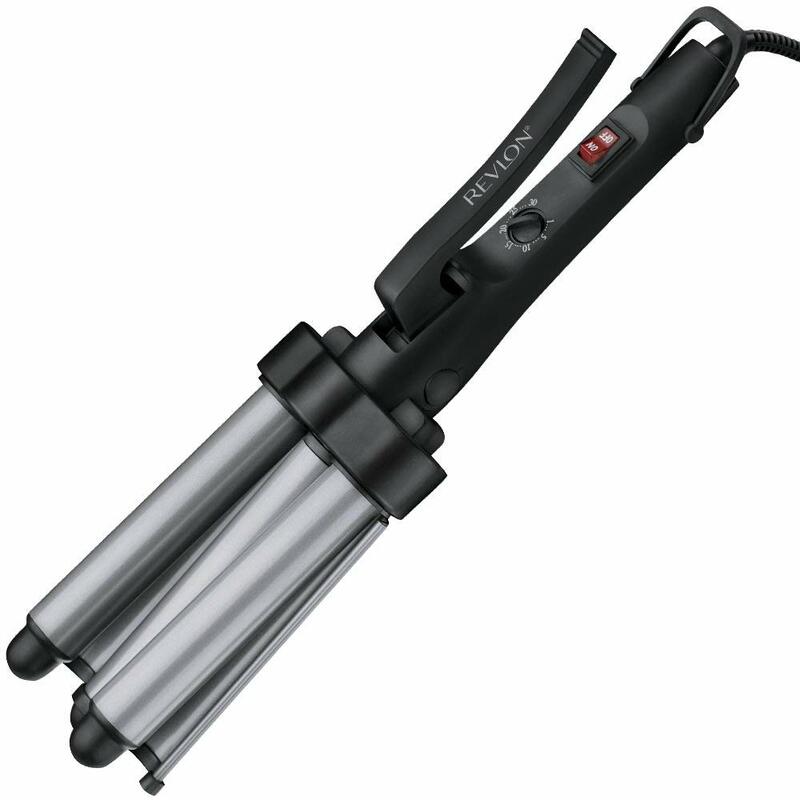 If you have curly or coarse hair, the INFINITIPRO BY CONAIR Nano Tourmaline Ceramic Curling Iron is definitely a wise buy for you. Runs on intuitive Pulse technology. Soft touch handle for added convenience. Storage friendly and that is why travel-friendly. In hair curler for long hair category, I really love this model. It not only functions well, it will add a special but natural sparkle to your hair. 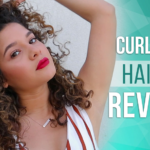 What makes me personally interested about this short barrel curling iron is its 25 years of market sustenance, and users have rated high this best hair curler. If you love to create beachy waves, romantic curls and glamorous loops, this hair curling wand is a one-stop solution for you. It is built on proprietary Pulse Technology by HOT Tools’. If by chance the temperature gets low, the hair curling wand restores the heat immediately by its own. 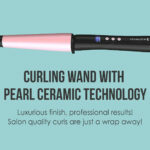 The best part of the curling wand, which I have felt is its versatility and compatibility to all hair types. It's safe to use no matter you are a beginner or a pro. The temperature dial is too small to read. 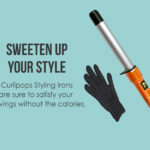 No matter if you are a hairstyle diva or you like to manage your long hair with some unique style statement, this is one of the easiest curling iron, which is indeed is a wise pick. Its long barrel and the short clip is unique for hair styling in your own way. It a good buy but a warranty is available only for you and family. I have done enough shop hopping but hardly found a best curling iron for long hair that can be used for versatile curling. With triple with a triple ceramic coating, Revlon Jumbo 3 Barrel Hair Waver is an apt tool for masking deep waves without the risk of hair damage. This Revlon product is a safe buy because it can be trusted for long lasting curl, it is good for creating smooth locks. Heat range is impressive from 30-420 degrees Fahrenheit. It is handy and can be controlled immediately after the curl is set. I have found the curly iron for long hair quite smart and sleek in shape. It is light weighted (4.8 ounces), and that is why found it easy to carry too. The last best part of this curling wand is its compatibility with all hair types. The spin of the curler is not efficient. The middle barrel may get troubling. I had the idea that Revlon Jumbo 3 Barrel Hair Waver for Deep Waves is good for various hair styling. But what I have gathered the knowledge that it is good enough for both thin and thick hair for making luxurious hair curls. This is the most essential step, knowing your own hair type will help you identify the problem areas & hence will let you choose the best product for your hair. If you have a frizzy & thick hair, then the usual irons won't yield desired results & if you've plain & thin hair then buying an iron meant for dense hair will make you work more unnecessarily. For thin hair, choose a thin barrel size & see how it wonderfully transforms your hair with minimal efforts. For dense & dry hair, go for a thicker barrel size like an inch (1”) or more, this will help you to curl even the thickest strands without any hassles. Yes! Usually ignored, but the material of the curling iron is very important for your hair texture. Therefore, ceramic irons are popular for a reason, ceramic irons when compared to the metal irons, minimize the damage caused by heating to the hair. Those girls who’ve damaged hair or coarse hair or curl the strands regularly, ceramic iron is the best bet for them. This can work for those too who’ve damaged their hair with the heat of curling irons. Ceramic iron not only saves the strands from damage caused by excessive heat but also helps the hair to retain the natural moisture as they offer minimal damage to the hair while curling. Choose the iron with multiple temperature settings, this will help you work according to the need of the hour. Multiple settings work on different types of hairs & also helps to achieve different patterns while curling the tresses. Moreover, the iron can be shared with users having different needs & hair types as well. No matter how much frizzy or dense your tresses are or you’re running pretty short of time never let the temperature exceed 400 degrees. High temperature not only damages the hair by overheating them but also effects on the natural hue of the strands too. High temperature may prove more dangerous for dyed hair than the plain hair as dyed hairs are already drier. Keeping these tips in mind, you can confidently choose the best curling iron as per your hair type for those alluring curls. If you're an owner of plain hair, then I'd say - a blessed girl! But still, if you want to add a rippling effect to your strands then curls are the best option; however, more than often curling the long strands is quite tasking. Right from choosing the correct method to the subsequent effect on the hair health, crops up in the mind. 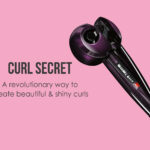 Using a branded & a safe curling rod or an iron will give help you curl your hair in the desired pattern. Be it waves or spiral curls you can design your strands the way you like it. Use a heat protection spray- Curly hair is already dry; hence it is important to use a shield before applying more heat t the hair. Always use branded products- Branded products are safer to use & some of the brands manufacture curling gadgets specifically for the long hair. If you don't want to use any artificial machine to have those locks, then you can opt for the pinning up method, used since ages & known to yield results too. Before retiring to bed, comb your hair, twist them tightly into braids & use pins to hold these braids into small & tight buns. This method will give you lovely locks in the morning without the hassles of heat & dryness. Long curls are a boon as they always look fluffy, gives an impression of being dense & of course adds the oomph factor to your pretty face. But as every coin has a flipside curls specially the longer ones have flipside too. I’m myself a girl with long spiral curls. I know how it feels when a breeze can make us look from pretty to messy in a moment. Yah! Sounds absurd but sometimes tried & tested ways work much better than the innovative ones. Comb & make two plaits before hitting the bed. Yes, plaits make hair curly but make them manageable too. Also saves them from breakage as we all know that curls are easily breakable. Never ever try to brush your hair with a hairbrush, no matter how many benefits does it hold for the scalp, it’ll ruin your curls by making them prone to tangling. Always use a comb with thick teeth & be as gentle as a feather while combing your curls. Curls are way drier than normal hair as the natural oil from the roots never reach the tips properly due to the spiral shape. Therefore an oil massage once or twice is a must to keep them moistened. When completely lubricated the strands are less likely to get entangled with one another. If I have to select the good curling iron/wand for long hair, it should be a customized choice, and it may not match your preference. I know my hair type, preference for air curls, and my facial type that goes best with my profile. Now the question is what your hair type is. To buy the best curling iron/wand, you must know your hair type, curl type, and your budget. However, what I have checked that if I live to buy a hair curler for thick hair, INFINITIPRO BY CONAIR Nano Tourmaline Ceramic Curling Iron is your best bait. Like me, if you have thick hair, you need to buy the best hair curling wand for the thick hair styling in a safe way. 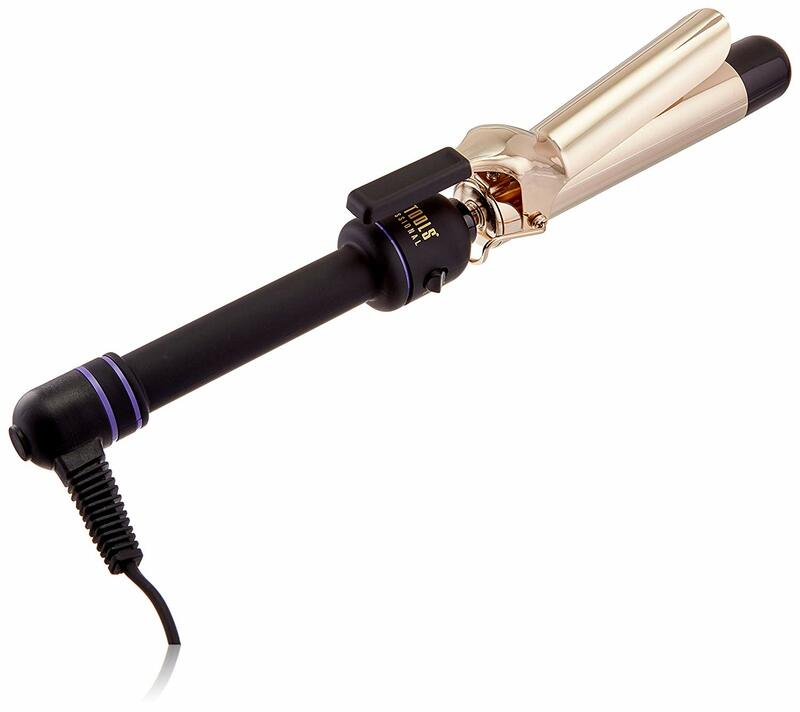 I find that HOT TOOLS Professional 24k Gold Curling Iron is perfect for that task. 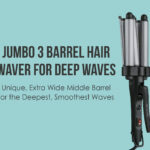 If your target is to buy a versatile curling wand which is literally the best curling iron for long hair for all types of hairs, your best option is the Revlon Jumbo 3 Barrel Hair Waver. You will be satisfied with the product’s performance for sure.